At a secret house church in Agadir, Morocco, a Christian man leads the group in silent prayer. Originally Published on US News.See Original Version. RABAT, Morocco — Mohammad, 65, remembers his first encounter with the police 30 years ago. He marks where he received the bruises, and grabs his throat to illustrate how the police strangled him with a belt. A convert to Christianity, Mohammed says he and his wife, Fatima, also a Christian, were imprisoned for 19 days because of their religion. Most Moroccan Christians say they worship with caution, congregating quietly in house churches, in an attempt to avoid trouble. Mohammad laughs when asked how many times they have been interrogated. “We can’t count how many times,” he says. Eighteen-year-old Ishmael reads from the Bible. Some members of house churches disguise their Bibles in plastic bags or leather covers. Almost 98 percent of the people in Morocco are Muslim, just over 1 percent are Christians, and a fraction of a percent are Jewish. The Christians are mainly foreigners residing in the country — the exact number of Moroccan Christians is unknown. Attempting to convert a Muslim to another religion — also called “shaking the faith of a Muslim” — is a crime punishable with up to three years imprisonment and a substantial fine, though recently there has been discussion to delete the law. Mohammad converted when he lived in France. Fatima was educated by Christian missionaries at a school in Tangier. Today, they attend church in Rabat and accept the risk that goes along with worshiping publically. That’s at odds with the image portrayed by Moroccan authorities of this North African Kingdom as a moderate Muslim country tolerant of different beliefs – especially when compared to countries like Libya and Syria, where non-Muslims, foreign and local, are being persecuted and killed. Though it was controlled by Vichy France during World War II, Morroco never surrendered its Jewish citizens, and churches. Churches and synagogues established before independence stand next to mosques and freely operate today, a holdover from 1979 when the government ratified a United Nations covenant guaranteeing the right to freedom of thought, conscience and religion to all people. But Morocco’s leader, King Mohammed VI, bears the title “commander of the faithful and defender of the faith” and is said to be a descendent of prophet Muhammad. To be born to Muslim parents in Morocco is to be a Muslim. And while the country grants freedom of worship to foreign Christians and Moroccan Jews, that freedom is not always extended to its own Christians. In 2011, in response to street protests during the Arab Spring, the king appointed a commission to draft a new constitution that would give Moroccans more freedoms. But when the idea of religious freedom was introduced, the ruling conservative Justice and Development Party threatened to join the street protests. So the right was taken out from the constitution that was then passed to prevent further instability. 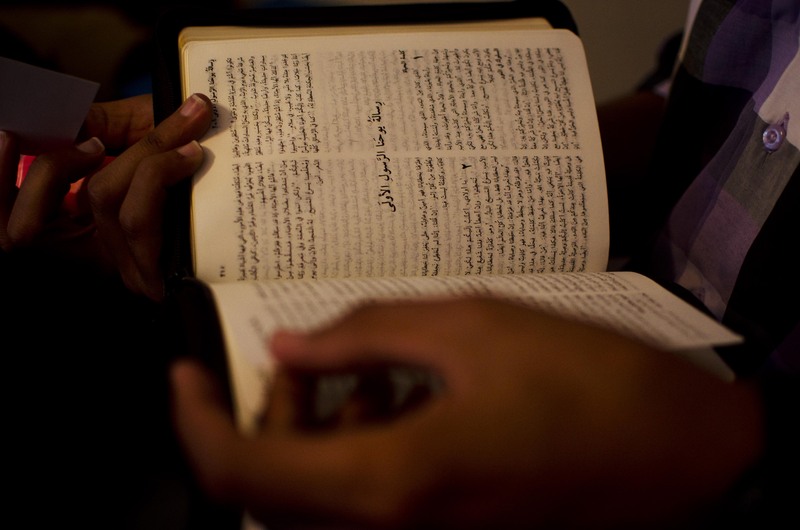 Ayub, 33, is a Moroccan who converted to Christianity after studying an online Bible. Ayub says he was arrested twice for attempting to enter the International Church in Marrakech. In fact, in some cases the Christian churches themselves that bar Moroccans from attending services. Morocco does not take evangelism lightly. In 2010, the government expelled approximately 150 Christian foreign residents accused of evangelism. Also, an orphanage, the Village of Hope, was permanently shut down for allegedly teaching Christianity. 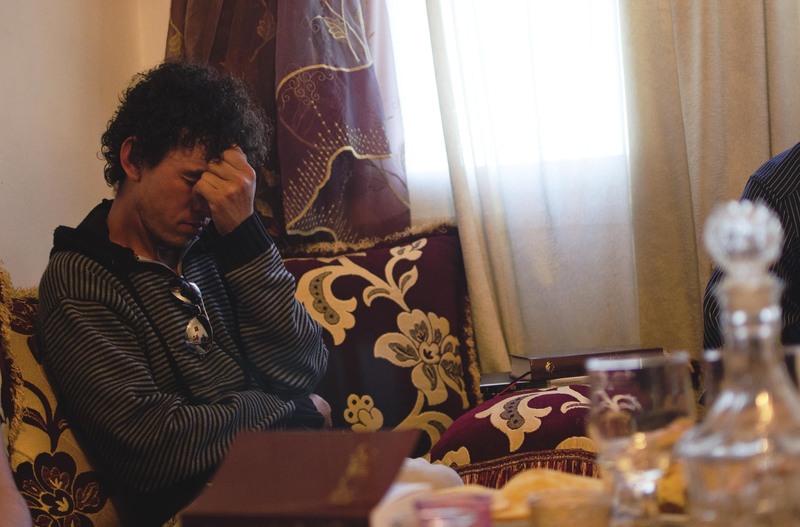 While another member of the his church discusses the lack of Christian rights in Morocco, Hassan, 27, begins to cry. “Morocco doesn’t want to lose its Muslim identity,” says Aicha Haddou, of the European Institute of Islamic Studies. Morocco has endured a long history of colonization, during which Christians from Europe attempted to convert Morocco’s Muslims. Resentment over that treatment remains and police interrogation, house raids and confiscation of religious material are sometimes seen as an attempt to protect the country’s Muslim heritage. Still, some Moroccan Christians boldly practice their faith, baptizing, preaching and evangelizing. And say they will continue to do so, whether they have the right or not. Ahmed, 24, became a Christian in 2009 after studying world religions on the Internet. Today in a Casablanca apartment, Ahmed leads a house church in worship, singing “Our God is Greater” in Arabic. Every Sunday, Moroccan Christians gather for church on the red and white couches lining the living room. The preacher stands behind a wooden podium addressing the congregation of 11 believers, who follow along with their Bibles and sip on mint tea. In one corner, a woman in a hijab and jellaba (a traditional Moroccan hooded robe) holds an open, leather-covered Bible in her lap. He is a spokesperson of an online podcast that openly evangelizes in Morocco. They send Bibles to interested listeners even though the government doesn’t allow distribution of non-Muslim religious material. “We don’t care if they approve or allow us or not, we won’t like it if they torture or arrest us… but still, its not going to stop us,” Ahmed says. Omar became a Christian in 2009. He knew the risk – his father is an Imam and Omar says his older brother was shunned from the family for converting. Omar attends a house church in Casablanca. “We have to fight for our freedom and demand our rights, we must come together. Nothing will change if we stay hidden,” Omar said. The names of Moroccan Christians interviewed for this story have been changed to protect their identities.